Jack Prostko works closely with CPS Program Directors and faculty to develop innovative and engaging curricula across the College's wide range of academic programs. He assists faculty in creating effective learning opportunities both in the classroom and online--working with faculty on their syllabi, course materials, assignments, and teaching methods and strategies. He coordinates assessment efforts for the College, reviewing program and course goals and evaluating learning outcomes. In addition, he serves on GW's Teaching and Learning Collaborative Advisory Board and works with colleagues in other GW Colleges and programs to help coordinate collaborative teaching improvement efforts. 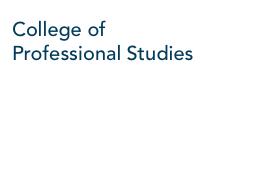 Before starting the faculty development program at CPS in 2008, he was the Director of Faculty Development at the University of Maryland, Baltimore County, where he founded the Faculty Development Center and supported teaching initiatives for all undergraduate and graduate programs. Prior to his work at UMBC he was the Associate Director of the Center for Teaching and Learning at Stanford University. He received his Ph.D. in English Literature from Stanford and taught in the English Department at Vanderbilt University. Along with Michele Marincovich and Frederic Stout he is the co-editor of The Professional Development of Graduate Teaching Assistants (Anker). He consults regularly with universities and professional organizations on a wide range of teaching and learning issues.